We did all the research so you don’t have to. 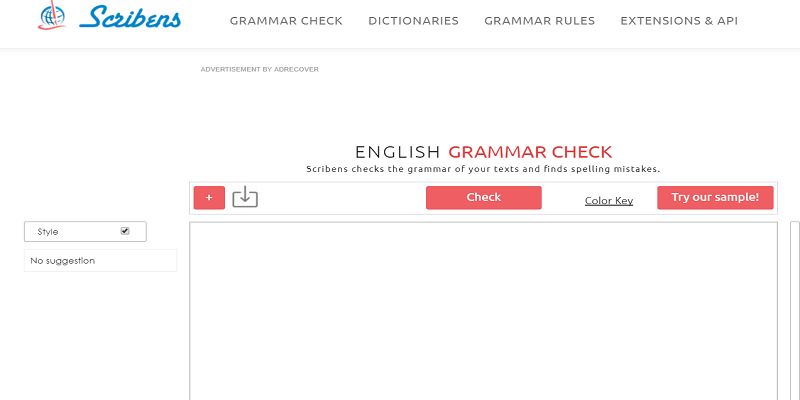 Here’s a comprehensive list of 15 grammar and punctuation checker tools you can use to polish your writing skills. Have you ever made a grammatical or punctuation error in your writing that became a source of embarrassment? I am sure you have. Everyone makes mistakes. Even great writers like Shakespeare and Hemingway have made mistakes. Whether you’re a professional writer for top publications or an amateur one who occasionally likes to blog, getting your grammar and punctuation right matters. And it’s especially true in an online world where hundreds (if not thousands) of people will see your writing. Nobody will take you or what you have to say seriously if the message you’re trying to convey has grammatical flaws or punctuation errors in it. So it’s imperative that you proofread your write-up beforehand and make sure it’s error-free. And you can do that by using a grammar checker or a punctuation checker or a tool that does both. Luckily, there are countless free and paid tools available these days that you can use to enhance your writing. Here’s a comprehensive list of grammar and punctuation checker tools that will help you become a better writer. 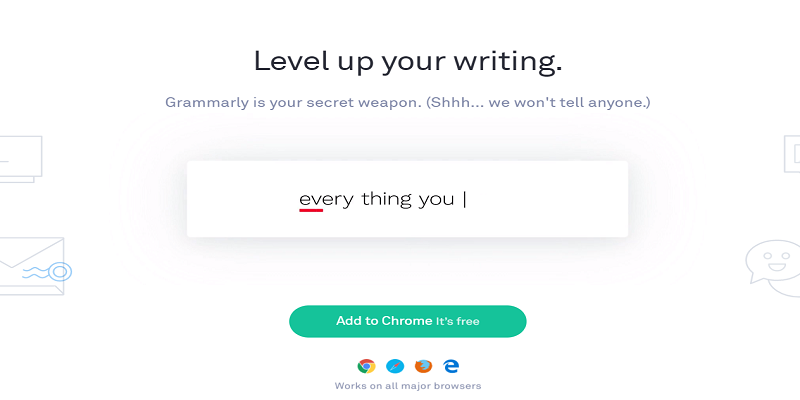 Trusted and used by over a million people worldwide, Grammarly is one of the best (and most comprehensive) grammar and punctuation checker tool in the market. It makes writing hassle-free as it automatically checks for spelling, grammar, word choice, and other errors in your writing. And the best part, it’s free to use and also offers an extension that seamlessly integrates with all the major browsers out there and makes writing online super easy. It also offers a premium update where it checks for over 400 complex grammatical rules, provides vocabulary suggestions, enhances style and structure, and finds plagiarism issues. 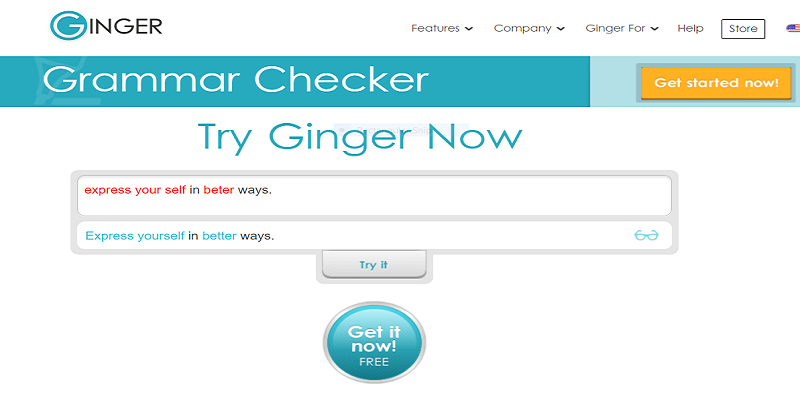 Proclaims itself as “the world’s #1 grammar checker,” Ginger uses advanced patent-pending technology to correct grammar, spelling, tense, and other mistakes. You can also use Ginger to convert your writing into a different language. It is available as limited online editor and also in form of an application that you can download on your computer. However, its chrome extension is not yet as robust and advanced as Grammarly’s extension. Note: sentence rephrase, text reader, and an unlimited grammar checker features are only available in the premium plan. WhiteSmoke is an all-in-one writing tool that will help you identify and correct grammar, spelling, style, punctuation, and other flaws in your writing with little fuss. 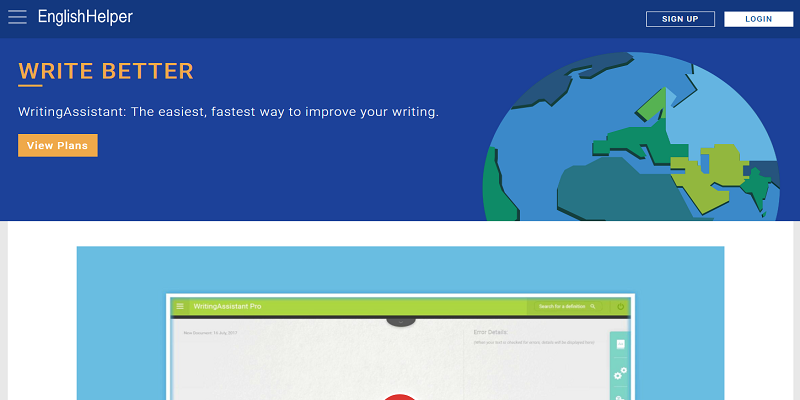 It also detects plagiarized sentences and can convert your write-up into 50 different languages. It is offered as a web-based writing solution that you can access using any browser, and a desktop application that you can download on your computer. Note: WhiteSmoke is only available for Windows OS right now. If you want your writing to stand out, try ProWritingAid. It is one of the most comprehensive proofreading tools you’ll ever come across. Apart from advanced grammar and punctuation checking, this tool offers detailed insights on its finding using 25 different reports, such as Writing Style Report, Sticky Sentence Report, Pronoun Report, Consistency Check, and more. Within each report, you’ll find issues that you have in your writing, with suggestions on how you can improve on each one of them. 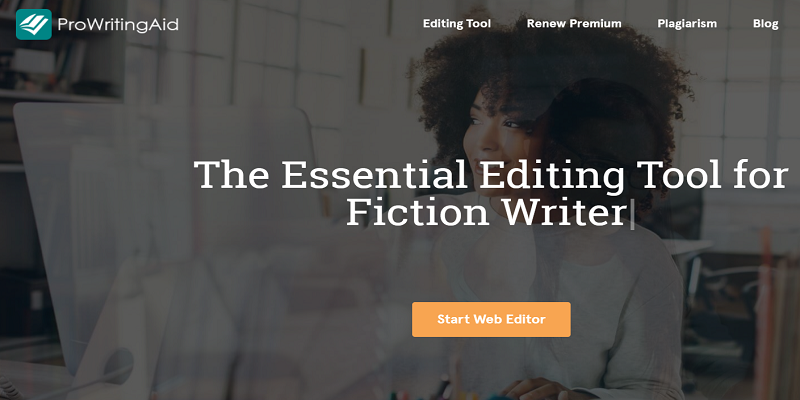 Along with web editor, ProWritingAid has a desktop application (for both windows and mac), and a chrome extension. A tool by EnglishHelper, WritingAssistant improves your writing by checking against a numerous common spelling, punctuation, grammar, and other errors. It provides easy correction and thorough explanations of each error in all of its plan. However, it’s free plan is limited and only checks against 150 common errors as opposed to Pro & Plus plans, which offers an in-depth checking and analysis against 300 and 500 errors respectively. 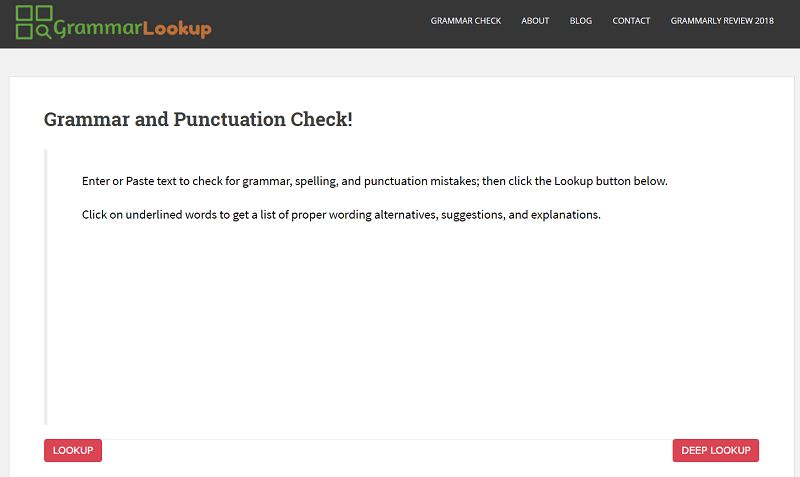 A relatively new grammar checker tool on the block, GrammarLookUp is efficient at catching common spelling errors. All you need to do is to paste your text in the area provided and the tool spits out all spelling mistakes it detected in your write-up within no time. Not only it points out mistakes in your write-up but also offers a possible correction, making it easier for you rectify your mistakes. 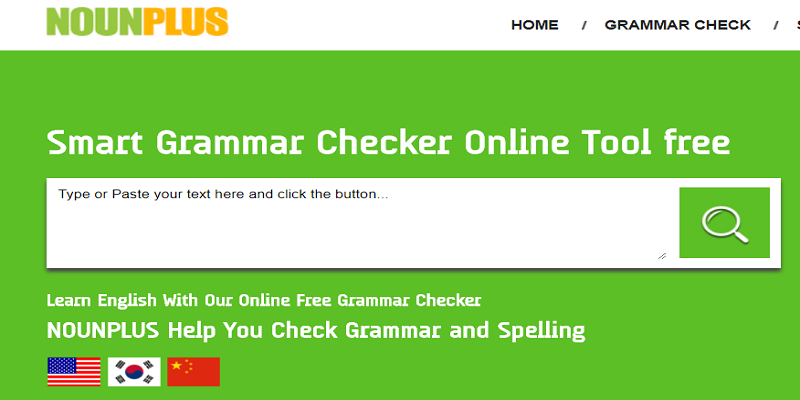 SpellCheckPlus offers a free grammar checker that analyzes your text against a wide range of errors and also provides valuable suggestions and explanations on how you can correct each error so that you don’t make the same mistake again. This tool also detects spelling errors in your write-up with great accuracy. 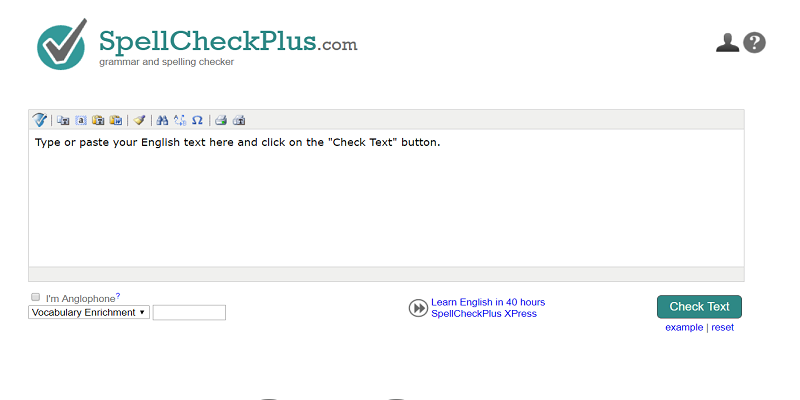 SpellCheckPlus also offers a paid upgrade which includes a slightly more advanced editor and an ad-free experience. 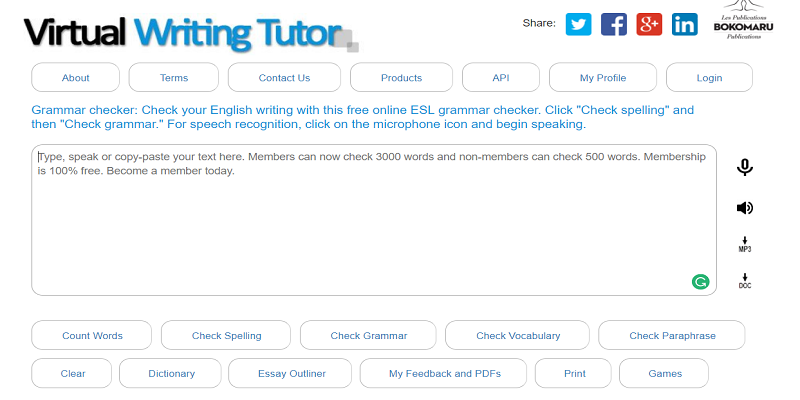 As its name suggests, Virtual Writing Tutor is a free proofreading tool that performs several checks – such as grammar check, punctuation check, spell check, vocabulary check, and more – and returns a detailed list errors it detected in your write-up at the bottom. It also provides feedback on each error and a possible correction. It is only available as an online editor. 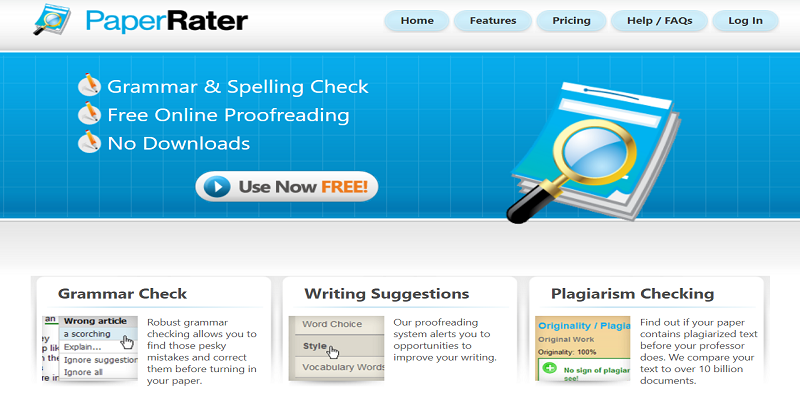 A popular choice, PaperRater is one of the most used grammar and spelling checker tools in the market. It employs patented, cloud-based system to check for grammar, style, word choice and spelling errors in write-ups. You have the option to print your summary report, which is a useful feature. PaperRater is unique in that it lets you specify the type of writing and the education level of the author so that it can analyze it accordingly. Note: PaparRater doesn’t incorporate a punctuation checker capabilities. 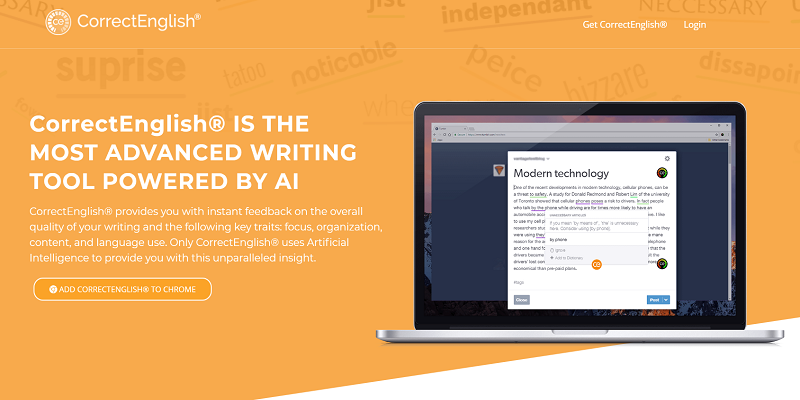 A simple, colorful tool, After the Deadline is a free grammar checker tool that uses a combination of Artificial Intelligence (AI) and natural language processing (NPL) technology to find errors in writing. It also returns spelling mistakes and style suggestions to help you make your writing mistake-free and simplified. Note: After the Deadline doesn’t have a punctuation checker. Not the most advanced (or comprehensive) grammar checker tool you’ll ever see, CorrectEnglish does a decent job at finding possible mistakes in your writing. Apart from grammar, it also checks for punctuation, clauses, context and spelling errors. However, in its “free forever” plan, you can only check for only 125 words at a time. Its standard monthly subscription costs 24$/month, which is a bit expensive when compared to the yearly plan that costs 59$. You can download it on Windows or Mac, and its browser extension supports Chrome and Firefox. Price: Free, Professional ($24/month when billed monthly), and Pro Saver (59$/year). Featuring a nice, clean, and intuitive interface, LanguageTool successfully detects most spelling and style-related issues in writing but definitely not equal to the task when it comes to finding grammatical errors. It also offers a paid upgrade in which it checks for 100 additional English grammar errors. It is available as a stand-alone desktop application and as a browser add-on (Chrome and Firefox compatible). 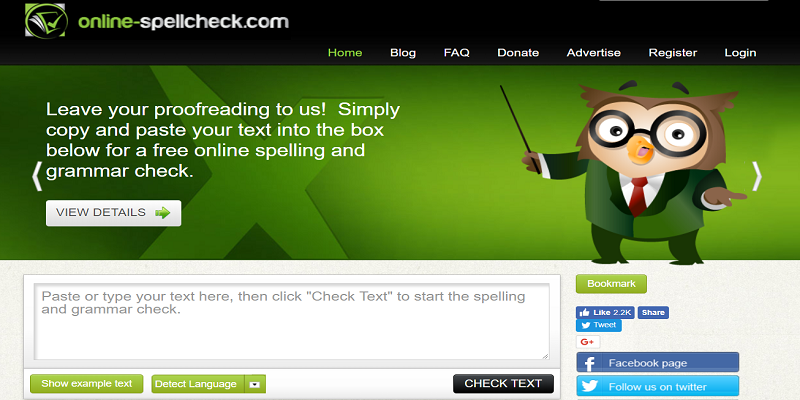 SpellCheckOnline is a free online proofreading tool that catches common spelling and grammatical errors in write-ups. It checks your work against 947 pre-defined English language rules to highlight possible misspellings and errors it detected. Note: SpellCheckOnline doesn’t have a punctuation checker. 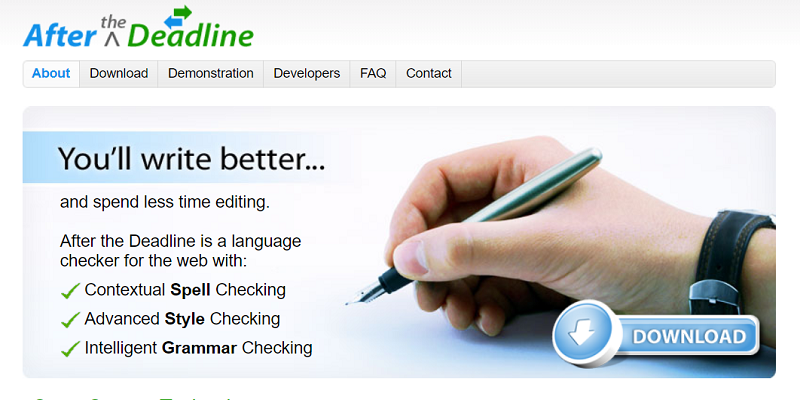 Scribens is a free online proofreading tool that claims to have both grammar and spelling checking features. However, I found in my experiments that, although it successfully found all the spelling mistakes in my write-up, it didn’t catch some of the most obvious grammatical errors in my writing that I knew to be full of mistakes. It also has an extension that integrates with Chrome, Firefox, and Safari. Note: Scribens does not incorporate punctuation checking feature. Boasting a simple interface, NounPlus is another online proofreading tool that claims to have grammar and spelling checking functionalities. However, similar to Scribens, we found that this tool is only useful for finding spelling mistakes that you may have in your writing. Note: NounPlus doesn’t check for punctuation errors. Microsoft Word also has built-in grammar and punctuation checking features. 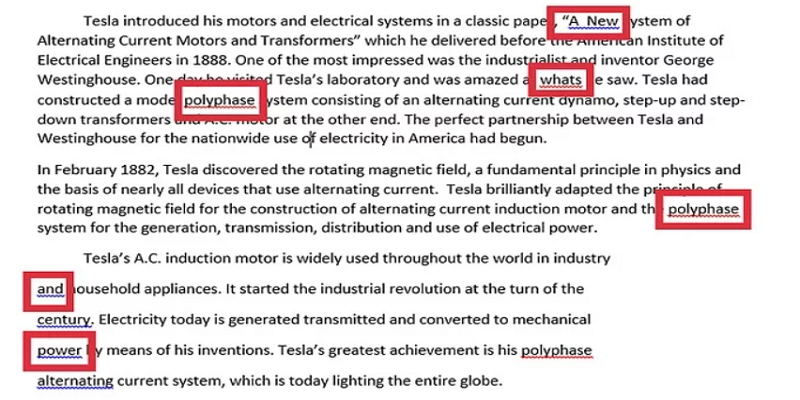 All you need to do is to copy your text in it and it will automatically highlight errors with squiggles beneath a phrase or sentence, with red signaling misspelled words and blue for a phrase that is grammatically or syntactically incorrect. Most recent Microsoft Word editions auto-correct slightly misspelled words, but you need to correct punctuation errors yourself. Price: Available as complete office package. No one likes reading a write-up that’s grammatically incorrect or has punctuation errors. Thankfully, we have so many grammar and punctuation checker tools at our disposal these days that it has become hard to decide which one to choose. 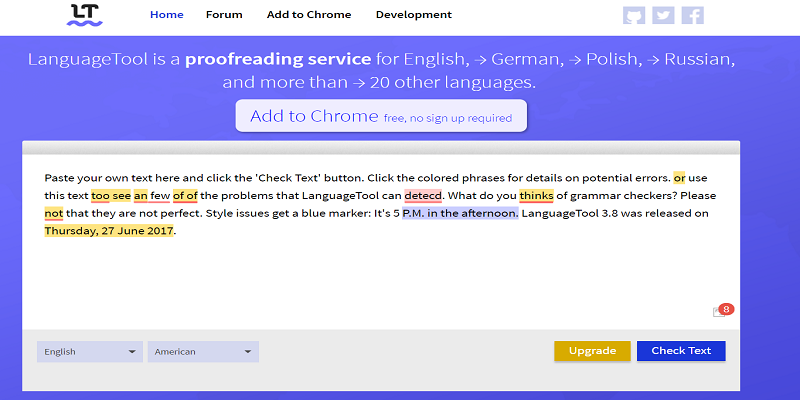 Which proofreading tool is your favorite one or is there any other tool I missed out on? Let me know in the comments’ section. Well managed and perfectly elaborated online tools to check Grammar and Spellings. Although all tools are useful but the most practical is GRAMMARLY. Glad that you found it helpful, Rafaqat 🙂 Have you tried ProWritingAid? I love using this tool. I find it better than Grammarly. Anyway, have a great day!